Financial inclusion, developing the digital infrastructure and skilling the employees to deliver innovations to change ordinary lives, is a key responsibility for the fintech industry in India, Singapore and ASEAN, says PM Narendra Modi. 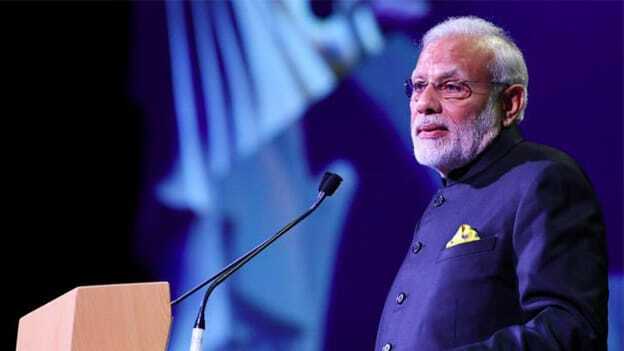 Equipping the available talent pool to tackle the challenges of the future is crucial for the rise of fintech, said Narendra Modi, India’s Prime Minister, in his keynote address to the international community at the 2018 Singapore FinTech Festival on Wednesday. Financial inclusion for the more than 1.7 billion people across the globe and getting the informal sector into the banking system is a major goal for the prime minister which can only be achieved with smart use of digital infrastructure and providing easy access to banking facilities. He stressed the importance of bringing in the system of pensions into informal sectors in order to provide security for the workers in those spheres of life. Financial inclusion and digital connectivity go hand-in-hand since finance is the first sector that embraces new technology at a fast pace, he said. Providing insurance facilities to more than a billion workers who are employed in the informal sectors across the world, is a major goal for fintech leaders. The six elements of fintech as cited by Modi are Access, Inclusion, Connectivity, Ease of Living, Opportunity, and Accountability. Using technology in the compliance and regulation functions will help hold banks and financial institutions accountable and thus make them more resilient through tech. "Singapore has been a global hub for finance and, it is now taking a leap into the digital future of finance," Modi said. "Today, I will have the honour to launch a global platform to connect fintech firms and financial institutions, beginning with ASEAN and Indian banks and fintech companies." The Monetary Authority of Singapore organized the FinTech Festival along with the Association of Banks in Singapore at the Singapore Expo inviting more than 250 speakers, 450 exhibitors, and 16 international pavilions. The week-long conference acted as a platform for entrepreneurs to connect with leaders and learn about capital-raising and skill-building strategies.